Trust Hospital The Best Hospital For Everthing in Orthopaedic surgery. Trust Hosiptal provides high performance orthopaedic treatment, expert advice and care from a team of vastly experienced surgeons and physicians who can make a real difference to patients" lives. Trust Hospital" s dedicated Hip Team provides a same day* service for assessment, diagnosis and treatment of hip and groin conditions. Our Consultants are internationally renowned experts and utilise innovative technologies and surgical techniques to evaluate and repair damage to the hip joint. Trust Hospital" s dedicated Knee Team provides a same day* service for assessment, diagnosis and treatment of knee conditions. 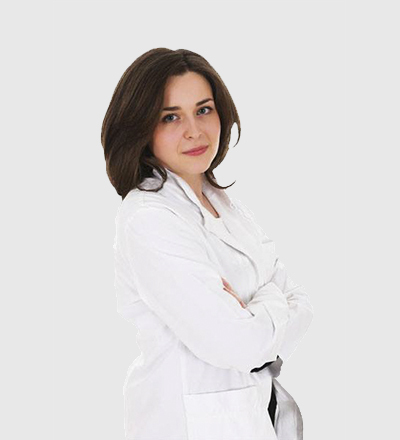 Our Consultants are internationally renowned experts and utilise innovative technologies and surgical techniques to evaluate and repair damage to the knee joint. 24hrs hand injury services are available for all types of hand injuries from finger tip injury to replantations. We are specialised in the treatment of the whole spectrum of hand (includingupper limb) conditions and injuries, including carpal tunnel syndrome, Dupuytren"s disease (finger contractures), trigger finger, ganglions and arthritis / pain in the small joints of the hand, as well as more complex, less common hand problems. Osteoarthritis is a loss of cartilage between bones, and often occurs in the terminal joint of the finger and/or the base joint of the thumb. The lack of cartilage means the bones can rub together, resulting in some combination of pain, swelling, deformity, stiffness or decreased movement. The condition usually affects people aged 45 and over, but can appear at a younger age. Soreness and swelling caused by osteoarthritis can arrive in waves, sometimes settling by itself, and avoiding painful movements helps suppress the condition. Injections are sometimes given, and anti-inflammatory medication can be helpful too. In certain cases, surgery can be used to fuse the joint in a permanent position. There are several surgical options, and the surgeon will go through these and advise on the best way forward. After an operation, it may be necessary to wear a splint or support for a few weeks. Carpal Tunnel Syndrome - Hand ConditionsCarpal tunnel syndrome (CTS) is caused by compression of the median nerve, resulting in pain, tingling or numbness in the hand and fingers. CTS is quite common, particularly in pregnant women, and will sometimes heal without treatment. Non-surgical measures such as exercises, splints or injections may be used to treat more serious cases. Severe CTS will require surgery to release the pressure on the nerve. De Quervain"s - Hand ConditionsDe Quervain"s is a painful hand condition that affects the tendons where they run through a tunnel in the wrist. Symptoms include pain on the thumb side of the wrist, swelling, tenderness when touched and occasional clicking of the tendons. The condition often subsides by itself in mild cases, and it"s helpful to avoid activities that cause pain to the area. Other treatment options include wearing a splint for a period of time to prevent thumb and wrist movement, having a steroid injection to relieve pain, or having an operation to decompress the tunnel. Surgical treatment can be done under local or general anaesthetic and it"s a relatively straightforward procedure. Dupuytren"s contracture - Hand ConditionsDupuytren"s contracture is a condition that causes one or more fingers to bend towards the palm. Small, benign nodules grow in the palm"s connective tissue, forcing the fingers to contract. Most cases of Dupuytren"s are painless, but the problem can worsen over time, sometimes resulting in persistent contracture. Treatment is not always necessary but, if the problem affects the hand"s ability to function properly, it"s possible to surgically release the contracture. The severity of the condition will determine the type of surgery used. Dupuytren"s can return, even after surgery, in which case more extensive treatment is required. Fractures, to both hand and wrist, are caused by an impact to the bone that is strong enough to break it. Symptoms include severe pain, loss of movement and swelling. Whatever caused the fracture – whether it was a fall, a fight, a sporting accident or anything else – can influence the treatment, so it"s helpful for the surgeon to know exactly how the break occurred. The problem will most likely be dealt with first by an Accident & Emergency department, before being passed on to a hand surgery team, including the surgeon, nurses and therapists. 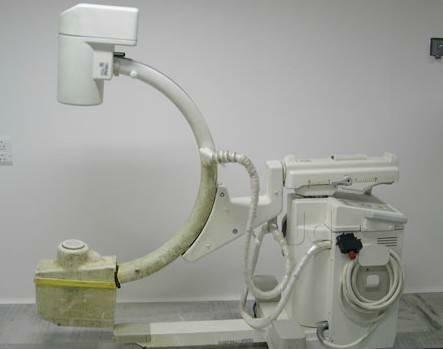 A surgeon will take x-rays and physically examine the fracture before deciding on the best course of action. In some cases, the fracture may be treated with a splint, hand exercises and painkillers, but more serious breaks may require an operation. Following surgery, it"s likely the fracture will be placed in a splint or plaster, and rehabilitation will be overseen by therapists, who will advise on exercises to help future movement in the affected area. Ganglion - Hand Conditions A ganglion is a cyst caused by synovial fluid that has leaked from a joint. It"s one of the most common hand conditions, and the swelling may or may not be painful. Ganglions often disappear without any treatment, but can be drained under local anaesthetic or removed surgically if necessary. Trigger finger occurs when a swelling or growth causes the tendon to catch on the sheath, or tunnel, it passes through. It"s unclear exactly what causes the problem, but an injury to the hand can sometimes lead to triggering. Sufferers will feel a painful click when trying to straighten the finger, reminiscent of a trigger being pulled. The condition usually affects a single finger, but in rare cases it can occur in more than one. If trigger finger is left untreated, the affected digit may become permanently bent. In a small percentage of cases, the condition can get better without treatment, but for others there are several options, including splinting and injections. Surgery is the final option, and the operation is relatively minor, but please be aware that the problem can sometimes recur after successful treatment. Using state-of-the-art technology — including a fully equiped laboratory and modern operating rooms — our surgeons diagnose and treat a wide range of conditions and have expertise in both minimally invasive endovascular and bypass procedures. Vascular Disease is the term used to describe the disease of the blood vessels, the series of tubes that are used to pump blood throughout the body. The Centre for Vascular Surgery at Trust Hospitals is committed to providing the highest quality clinical care possible, and understand that attention to the emotional needs of patients and their families is as important as the physical ailment that brings each patient to us. The Centre for Vascular Surgery works constantly to enhance the quality of life for patients with vascular diseases. The goal is to provide patients with the most advanced and sophisticated means for the diagnosis and treatment of peripheral vascular disease in the safest way possible. 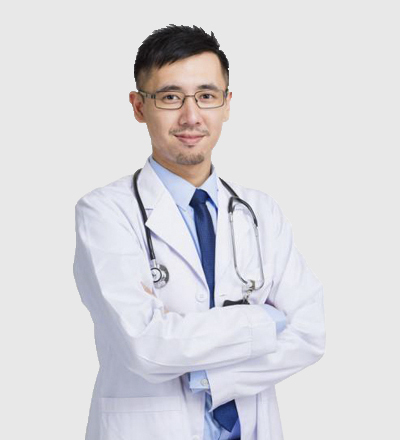 We have an outstanding team of specialists who have developed and used enhanced techniques for the diagnosis and treatment of vascular disease. The Ilizarov technique relates to the use of a circular external fixation frame designed in the 1950s by Gavril Abramovitch Ilizarov in Siberia. The revolutionary principle he discovered was that bone can be cracked and when it starts to heal the crack can be stretched slowly (at about 1 millimetre per day) to lengthen it. This means that missing segments of bone can be re-grown, and leg length restored after injury.The frames themselves rely on either stiff pins running from the frame into the bone, or thin wires that pass through the bone, and are attached at each end to a ring around the leg under high tension, making them very rigid. Unfortunately, although the bone is stretched at 1mm per day, it takes a further 3 or 4 days of consolidation to become solid enough to allow removal of the frame, giving a total of 4 or 5 days in a frame for each millimetre of bone re-grown. The technique has been expanded by the use of more modern external frames such as the Taylor Spatial Frame, which allows correction of multiple deformities simultaneously including angulation, rotation and shortening. The deformity is programmed into a computer, and the software calculates the necessary frame adjustments to allow for millimetre perfect accuracy. It can be further adapted in a few situations to allow lengthening over intramedullary rods within the hollow centre of the bone. This has the advantage of dramatically shortening the time the frame is needed, and is particularly useful in bones such as the femur (thighbone) where an external fixator is bulky and awkward. Arthroscopy is a surgical procedure during which the internal structure of a joint is examined for diagnosis and treatment of problems inside the joint. 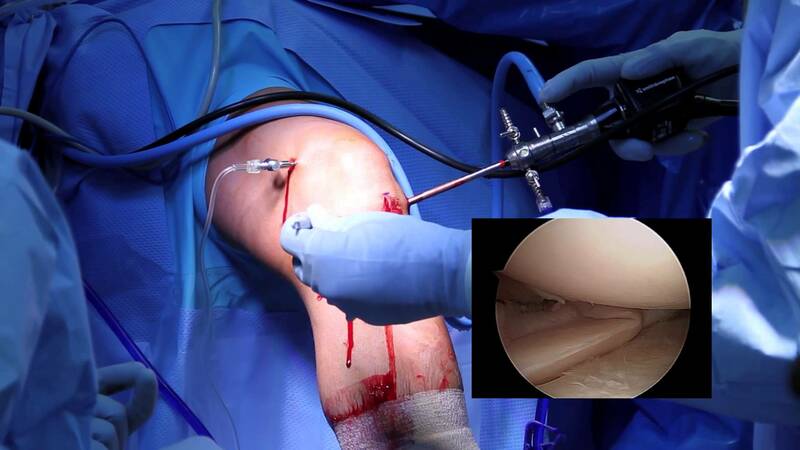 In arthroscopic examination, a small incision is made in the patients skin through which pencil-sized instruments that have a small lens and lighting system (arthroscope) are passed. Arthroscope magnifies and illuminates the structures of the joint with the light that is transmitted through fibre optics. It is attached to a television camera and the interior of the joint is seen on the television monitor. Some of the possible complications after arthroscopy include infection, phlebitis (clotting of blood in vein), excessive swelling, leeding, blood vessel or nerve damage and instrument breakage. RecoveryIt may take several weeks for the puncture wounds to heal and the joint to recover completely. A rehabilitation program may be advised for a speedy recovery of normal joint function. You can resume normal ctivities within a few days. 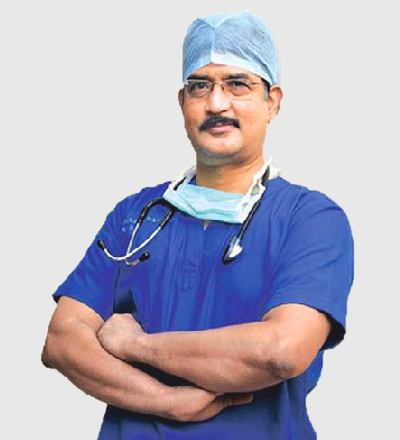 The very latest techniques are available at Trust Hospital for Spine Surgery , including endoscopic spinal surgery, microdiscectomy, total disc replacement, minimally invasive fusion surgery and kyphoplasty. The Spinal Surgery department at The Trust Hospital offers an integrated, multi-disciplinary approach to treating spinal conditions. Our team consists of consultant neurosurgeons and consultant orthopaedic surgeons as well as specialist spinal nurses who provide complete care, from diagnosis to treatment and rehabilitation. State-of-the-art treatments include endoscopic spinal surgery, microdiscectomy, total disc replacement, minimally invasive fusion surgery and kyphoplasty. The Spine Surgery Centre is based at The Trust Hospital. We were one of the first hospitals in the vijayawada to offer this ground-breaking new treatment, which represents a new and better era for patients requiring lumbar disc surgery for common conditions such as back pain and sciatica. Endoscopic spinal surgery is simply performed under sedation through a cut no bigger than a needle puncture. Patients routinely go home within 24 hours, can return to work in a few days and are able to play sport within weeks. No other technique offers such a speedy recovery. Surgery is the last line of treatment when all other modalities failed. jointreplacement surgery ensures correcting a deformity and restoring mobility. Joint replacement surgery is performed to treat advanced arthritis. In Joint replacement surgery the damaged cartilage and any associated loss of bone structure is a resurfaced and removing the damaged joint, and preserving the muscles and ligaments for support and function. The replaced joint is made of titanium, cobalt chrome, stainless steel, ceramic material,OXINIUM and polyethylene (plastic). It can be affixed to the bone with bone cement or it can be press-fit, which allows bone to grow into the implant. Once the joint replacement is in place, its motion and function are restored through physical therapy. The most common joint replacement surgeries are hip & knee. Total hip replacement is a surgical procedure for replacing the hip socket (acetabulum) and the "ball" or head of the thigh bone (femur). The surgeon resurfaces the socket and ball where cartilage and bone have been lost. An artificial ball and socket are then implanted into healthy bone. Knee replacement surgery is performed to treat end-stage arthritis. When arthritis in the knee joint have progressed to the point where medical management fails and deformity has become severe, knee replacement surgery may be recommended. Joint surgery in the knee is a result of damage to the coating or gliding surface called the articular cartilage. 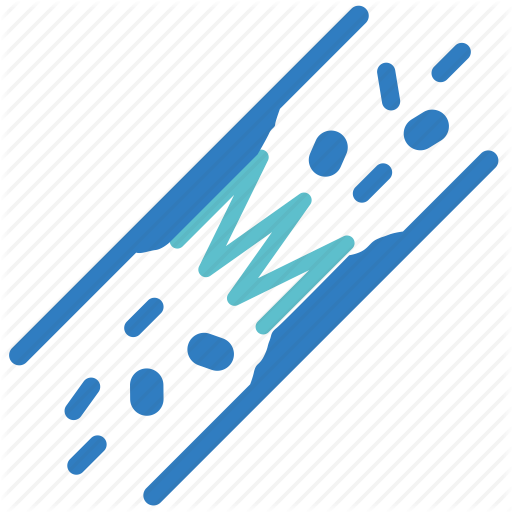 Depending on the amount of damage, ordinary activities such as walking and climbing stairs may become difficult. Damage to the knee joint cartilage and underlying bone may also result in deformity. Knock-knee or bow-legged deformities and unusual knee sounds (crepitus) may become more obvious as the degeneration worsens. Knee replacement surgery is designed to replace this damaged cartilage or gliding surface as well as any associated loss of bone structure or ligament support. Total shoulder joint replacement is usually required for those who have severe forms of osteoarthritis or rheumatoid arthritis and rarely for neglected trauma. Similar to the hip joint, the shoulder is a large ball-and-socket joint. The primary indication for a total shoulder replacement is pain that is not being relieved through therapy or other treatment methods. Pain may be the result of abnormalities and changes in the joint surfaces as a result of arthritis or fractures. The primary goal of total shoulder replacement surgery is to alleviate pain with secondary goals of improving motion, strength, and function. Total elbow replacement usually required commonly in Rhuematoidarthritis , post traumatic arthritis of elbow. In this the lower part of arm bone (humerus) is replaced and it is articulated with one of the forearm bones(ulna) forming the elbow joint. goal of the elbow replacement is to restore the mobility mainly. maxillofacial surgery is the specialty for the diagnosis and treatment of diseases affecting the mouth, jaws, face and neck. The oral and maxillofacial team at Trust Hospital is staffed by surgeons with both medical and dental expertise, allowing us to offer our patients the highest levels of treatment in oral surgery and maxillofacial surgery as well as the speciality. An intensive care unit (ICU), also known as critical care or intensive therapy department, is a specialist ward in a hospital. They provide intensive care (treatment and monitoring) for people in a critically ill or unstable condition. A person in an ICU needs constant medical attention and support to keep their body functioning. They may be unable to breathe on their own and have multiple organ failure. 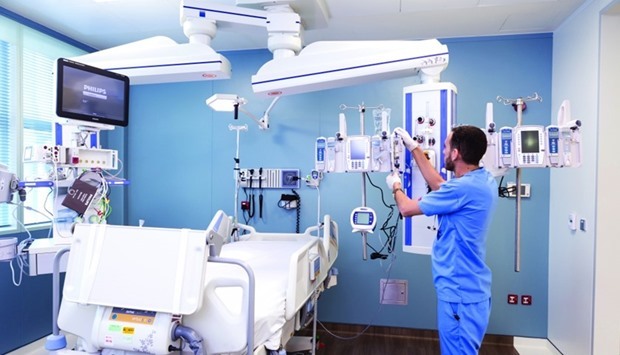 Patients in ICU are usually connected to intensive care equipment by tubes, wires and cables. This can be quite frightening for patients and relatives. Some of the equipment may help the patient breathe and monitor their heart rate and how fast they breathe. Patients are often in a "medically induced coma" to make them sleep while they get better as some of the equipment can be uncomfortable. Once a person is able to breathe unaided, they may no longer need to be in intensive care and canbe transferred to a different ward to continue their recovery. Depending on their condition, they will either be transferred to a high dependency unit (HDU), which is one level down from intensive care, or to a general ward. The time it takes to recover varies greatly from person to person. It also depends on things such as age, level of health and fitness, as well as how severe the condition is. 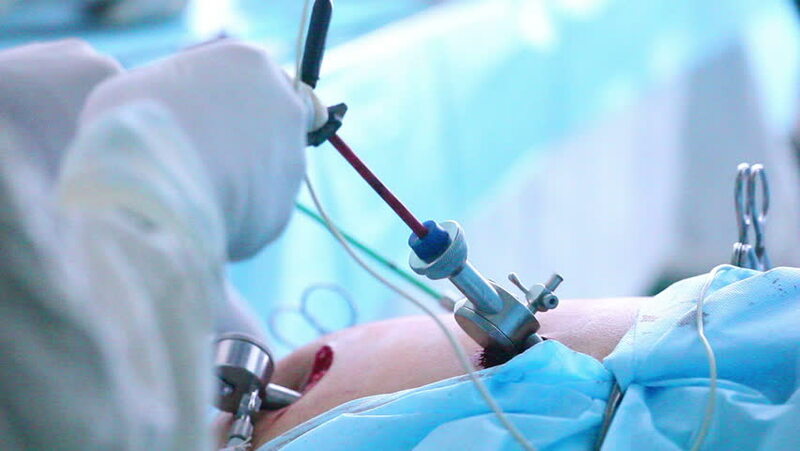 Laparoscopy is commonly known as "key hole surgery". It has been used in human surgery for years and now has been developed for use in veterinary surgery. Instead of a large incision into the abdomen to perform surgeries, we are able to use very small incisions and using a camera along with small instruments to perform surgeries. General surgery is the surgical specialty covering some of the most common and generic health conditions which may affect us. We offer daily outpatient clinics with Consultant General Surgeons. Our surgeons are some of the most experienced local consultants, many of whom also have substantive posts within the NHS. The plastic surgery facility at Trust Hospital caters for all your reconstructive surgery requirements. 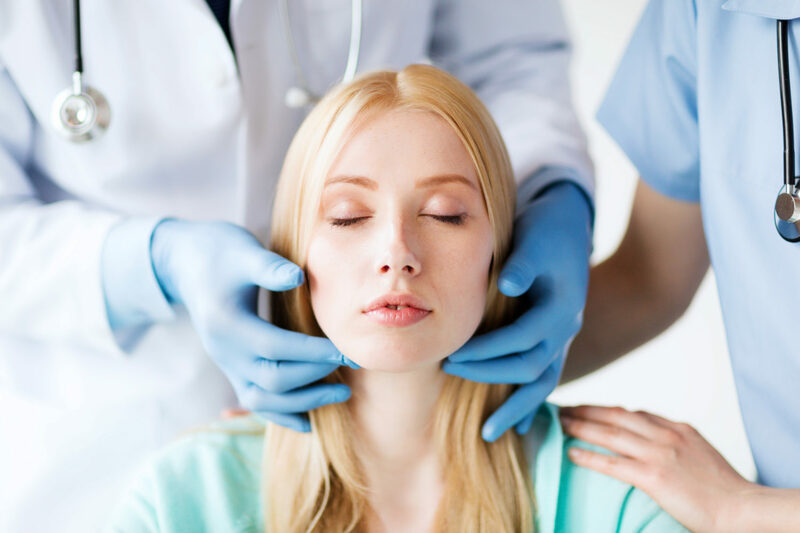 Our team of specialist plastic surgeons are fully qualified and experienced in all aspects of plastic surgery (with particular expertise in common procedures such as facial surgery and breast surgery). Breast re-shaping surgery available includes Breast Augmentation, Breast Reduction and Mastopexy (Uplift), Breast Reconstruction, Latissimus Dorsi flaps, TRAM/DIEP flaps (using the patient"s own tissue to provide optimum results.Our comprehensive range of body sculpting treatments and procedures include Abdominoplasty, , Mini-Abdominoplasty, Gynaecomastia, Liposuction. Scar revision, mole/lesion/cyst removal and wound care are some of the minor operations that are treated at the clinic. Hand surgery is often required after an injury or if you suffer with arthritis, a tumour, a nerve problem or have a birth defect. Hand surgery requires a combination of tissue handling techniques including, microsurgery, tendon, nerve, and ligament and bone reconstruction. The hand is particularly unforgiving following injury or surgery, a team approach involving patient, hand therapist and properly trained surgeon is essential for the optimal outcome. Reconstructive wrist surgery helps to repair damaged tissues and reduce pain and weakness. If arthritis has developed, surgery will, in many cases, improve the pain. Injuries that immediately compromise ventilation and oxygenation should be identified during the initial assessment of the trauma patient and treated appropriately. 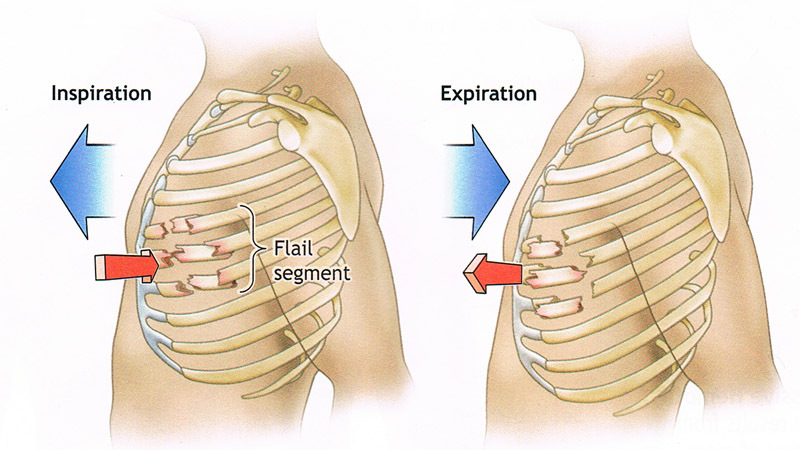 Examples include pneumothorax and haemothorax. These patients are always admitted. Some injuries result in severe respiratory compromise hours or even days after injury. Minor injuries can be a marker for more severe injuries. The Trauma Service has a liberal admission policy for patients with seemingly minimal chest trauma. 8. Chest trauma associated with an arrhythmia or other evidence of myocardial injury. Co-morbid (e.g. CORD, warfarin etc.) and elderly patients may be admitted following any chest trauma. Patients with chest injuries are admitted under general surgery unless they require admission for another injury. They can be referred to the Trauma Service for continuing care as a ward referral. All should receive supplemental oxygen, chest physiotherapy, and adequate analgesia. Consultation with the Pain Service on the day following injury should be considered. 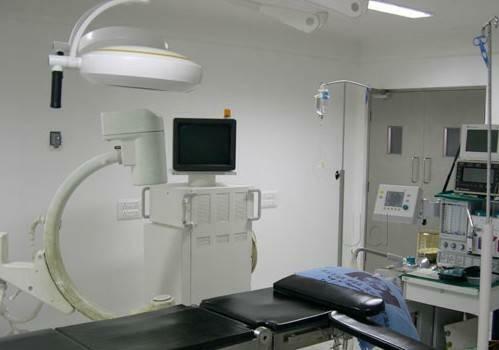 The hospital is located in vijayawada at Benz Circle and accommodated in a four storeyed building with state of the art medical equipment coupled with modern amenities. The hospital houses all the routine and the latest diagnostic facilities that are very vital to enable Quick and accurate diagnosis to facilitate Quality trauma Care treatment. Trust Hospital also dedicates its advanced facilities and know-how to research and development making further inroads in the field of health and medicine. Emergency Care at Trust Hospitals is an exclusive centre that offers immediate treatment in any emergency with the highest level of care, round-the-clock..
Vascular surgery is a surgical speciality that deals with the diagnosis and treatment of diseases of blood vessels of the body. Blood vessels are tubes that carry the circulating blood within the body. 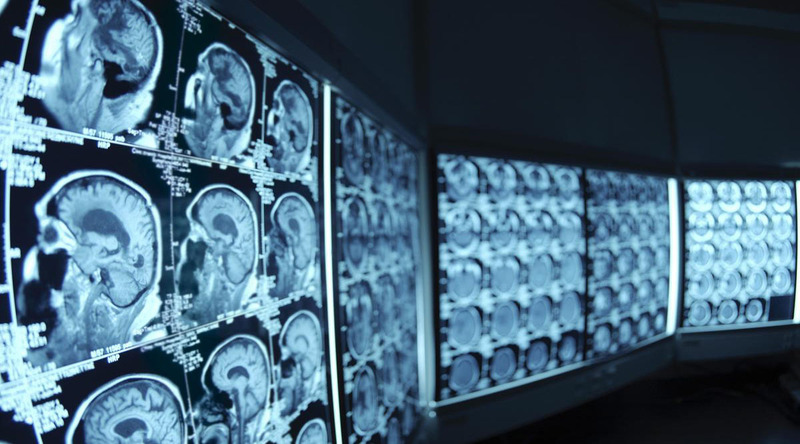 To put it simply, a vascular surgeon deals with blood vessels all over the body except the heart and the brain. 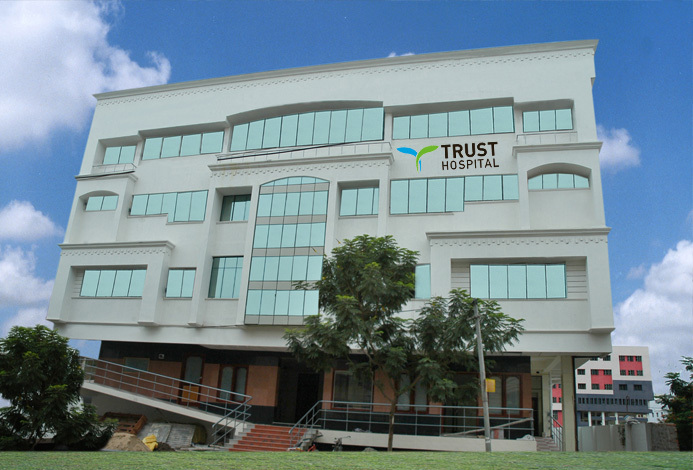 Trust hospital is uniquely positioned to offer the finest comprehensive joint replacement care. Trust hospital and its multidisciplinary staff have responded both academically and technologically to patient needs in the area of joint reconstruction, with the mission of rendering exceptional care to improve the quality of life for patients suffering from joint diseases, disorders and injuries. A detailed evaluation of patients is performed before formulating a treatment strategy. Emergency Care at Trust Hospitals ltd is an exclusive centre that offers immediate treatment in any emergency with the highest level of care, round-the-clock. Trust Hosiptal provides high performance orthopaedic treatment, expert advice and care from a team of vastly experienced surgeons and physicians who can make a real difference to patients lives. 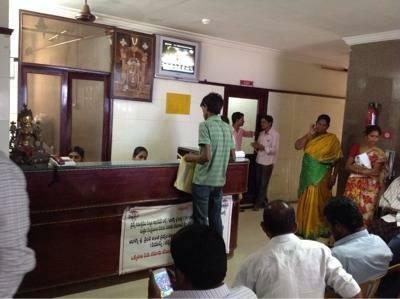 The very latest techniques are available at The Spine Surgery Vijayawada, including endoscopic spinal surgery, microdiscectomy, total disc replacement, minimally invasive fusion surgery and kyphoplasty. Quality is Never an accident, it is always the result of high intention, intelligent direction and skillful execution. it represents the wise choice of many alternatives. We at Trust Hospitals are dedicate to providing you with the wise choice when it comes your health care.